ORLANDO, FL (MARCH 26, 2019) – Nautique has been recognized by the United Safety Council this week as a Gold Status winner of the 2018 Corporate Safety Achievement Award. 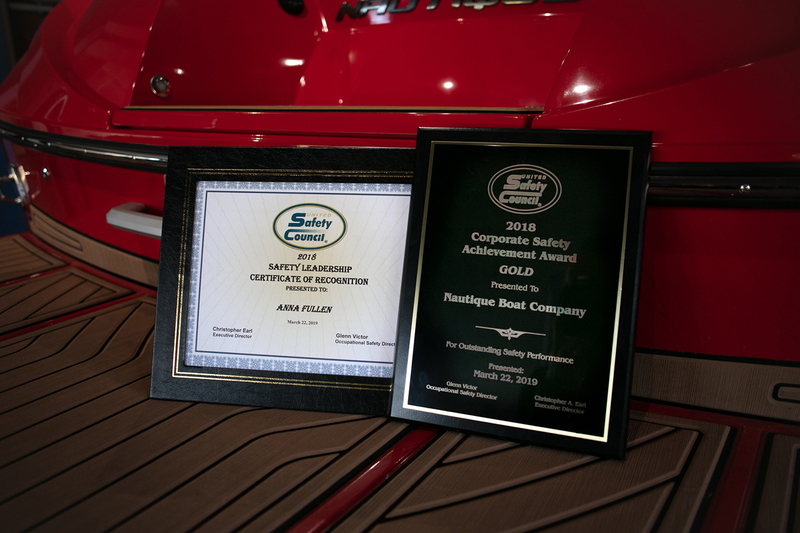 As the highest designation for the United Safety Council in the State of Florida, the Nautique team was extremely proud to take home this achievement. The team at Nautique has been fully committed to integrating safe strategies into the manufacturing process, and those efforts have come to fruition with achievements like this one that award companies based on their overall level of safety in the past year.